For the food, we are having the party right after lunch, so we are mostly having desserts and snacks. Our menu is juice boxes, strawberries, heart shaped marshmallows, chocolate covered pretzels, and heart shaped cookies with icing & sprinkles for the kids to decorate. 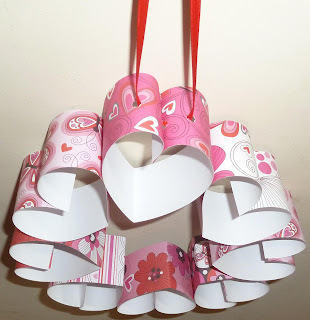 For the crafts, the kids are going to decorate white paper bags to put their Valentine cards in. They are also going to make a paper heart wreath. This idea came from The Hybrid Chick but I simplified it some for our group. I bought Valentine's scrapbook paper at Walmart and trimmed into 2" strips. I grouped them into sets of 8 and went ahead and folded them in half. Each child will use 8 paper strips and glue dots to form the hearts and attach them to each other. Then I'm going to punch holes into the left top, middle, and right top of one heart and string ribbon through. Tie the ribbon at the top and you have a cute wreath! For games, we are going to do bingo and a heart match game. I printed the Valentine's Bingo cards HERE and the kids are going to use conversation hearts for markers. 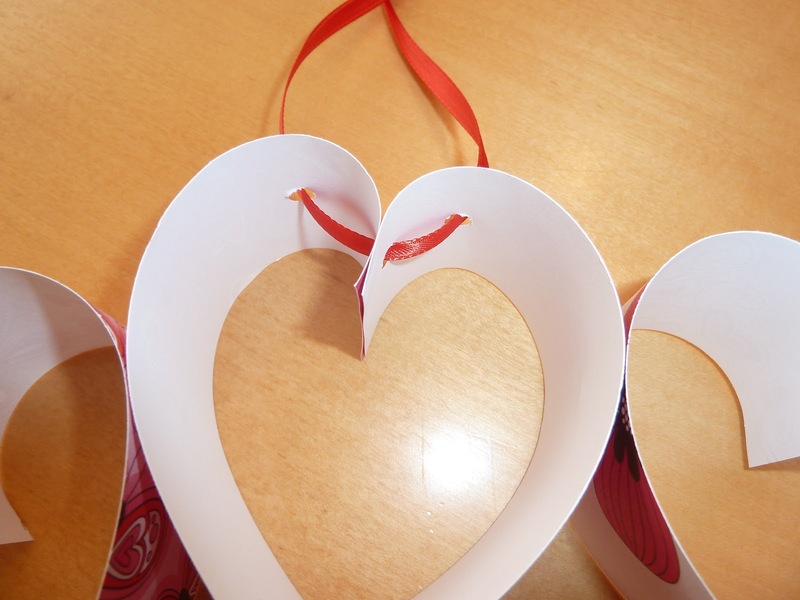 The heart match game is a variety of foam hearts cut in half using different shaped scissors. 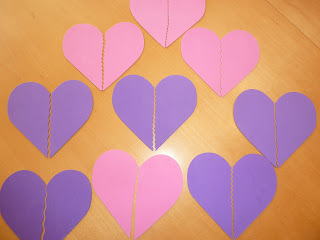 Hand each child a half of a heart and they have to find their match by looking carefully at the heart color and shape. 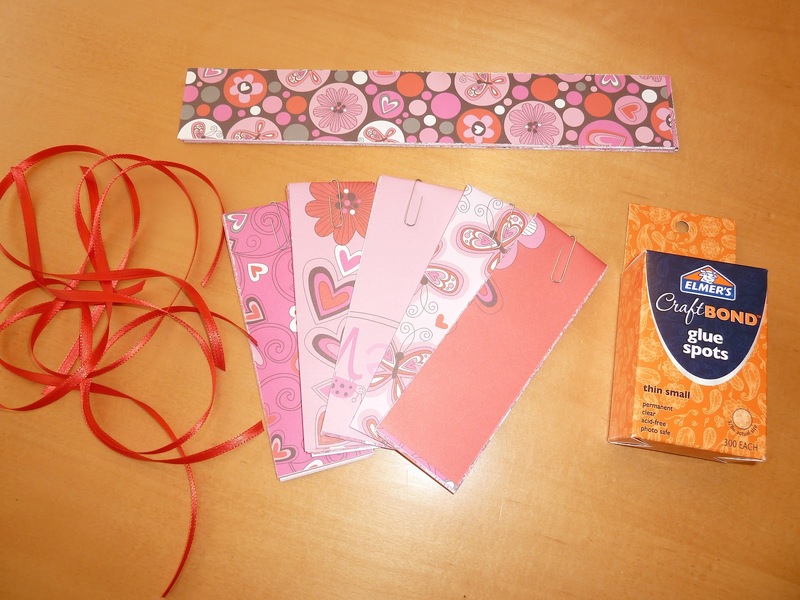 Then, of course, the kids will exchange Valentine cards. I think it will be a lot of fun! Yay!